The title of Natalia Mateo’s album, “De Profundis” - meaning ‘out of the depths’ in Latin - sets the tone: the inspirational well-springs for her music are both personal and profound. Subtle, knowing songs leave the listener in no doubt of a determination to mark out musical paths that are Mateo's, and hers alone. Thoughtful, original compositions and highly personal adaptations of songs reflect her story set against a backdrop of East and West, a life punctuated by changes of surroundings, by departures which lead to fresh beginnings. The music of “De Profundis” has a three-fold inspiration: Poland, her country of birth, with its natural closeness to the Slavic traditions has left its mark, as have the international influences of her elective home city of Berlin; finally, Mateo is particularly drawn towards unconventional artists from music, literature and fine art, free spirits such as Joni Mitchell, Maya Angelou and Louise Bourgeois. What she values most about them is the way they have made their mark through a vehement yet unruffled mode of expression, their depth and sustained creativity. There is courage and consistency in the way Mateo follows her intuition as singer, composer and bandleader, and finds her own expressive strength. 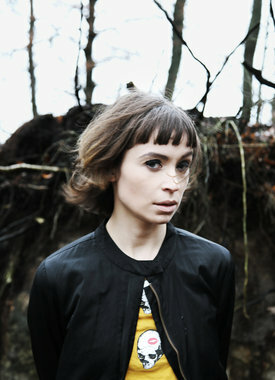 She combines facets of jazz, Polish folk music and the singer-songwriter tradition. With her affecting intensity all of these are combined in a mesmerizing kaleidoscope. In “De Profundis” Mateo and her band show the experience accrued through the past few years of extended touring. The singer herself captivates not just through intensity but also through restraint. At times the sparseness of sound and structure can be intense, while judiciously chosen instrumentation creates a very distinctive sound. Quiet, emotionally charged passages contrast with sudden bursts of fierce energy. Born in 1983, Mateo now has all the experience, craft and judgement one could ask for - as well as the self-awareness to know that she will occasionally divide opinion. Alongside Mateo herself, the guitarist Dany Ahmad, pianist Simon Grote, bassist Christopher Bolte and drummer Fabian Ristau form a regular band which has grown together over the course of several years. Songs and arrangements have often emerged from the interplay of the band working together. The multi-layered and expressive “Eksplozja Paranoja” has joint authorship by all the musicians. Another commonly created setting, of William Blake’s philosophical poem “Eternity” has a nimbler feel. It is remarkable how seamlessly tenor saxophonist Sebastian Gille fits into this band. His varied and empathetic contributions reinforce moods, and his focused but rough-edged timbre makes for a fuller and richer band sound. Guitarist Dany Ahmad also has range and flexibility to spare, from fast passage-work on the acoustic guitar to emphatic interjections on electric. Drummer/ percussionist Fabian Ristau holds back in some ballads, but can both lay down grooves and mark out sharply defined accents. Bass duties are shared between Christopher Bolte on electric and Felix Barth on upright. 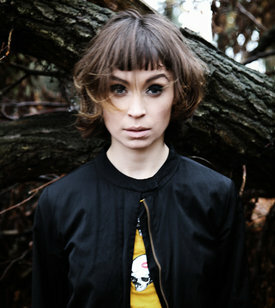 Compared with her highly praised debut on ACT “Heart of Darkness”, Mateo sings more often in her native Polish. Alongside a traditional Polish song, Mateo and her band have also taken more recent compositions, and interpret these in a highly individual manner. There is Krzysztof Komeda’s theme from the classic Roman Polański film “Rosemary's Baby”. Dolly Parton’s “I Will Always Love You” is rhythmically re-set, reharmonised, to emerge in a completely new guise. From originals and covers, through singing that can be gentle/lyrical and angular/punchy, moods from melancholy to anger, the range of “De Profundis” is wide. Track by track, more of what constitutes Natalia Mateo’s artistry and fascinating individuality is revealed.